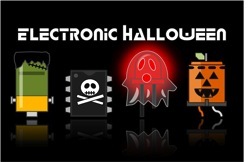 Controlling Halloween Effects with DIY Infrared Remote Controls #ElectronicHalloween « Adafruit Industries – Makers, hackers, artists, designers and engineers! Make shared this video on Youtube! In this project, I’ll show you how to set up some simple remote controlled effects that you can use in your haunted house this year.